Nifty is turning downwards after reaching near to the peak of 6000 zone followed by call writing in 6000CE since last friday with higher open interest builtup. Similarly 5700PE also seen a considerable amount of open interest since the start of the April Series. 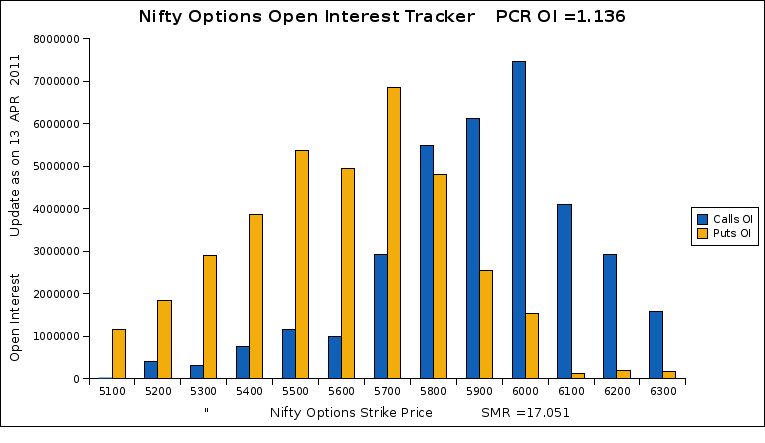 But currently the open interest in 5700PE is lesser than 6000CE. A strong open interest builtup in 5700PE will prove that 5700 will act as a strong support zone for the current trend to remain up. Break 5700 in nifty could hurt the bulls.